On a rainy night that was as gloomy as the students still recovering from returning to school and the end of summer — the atmosphere inside The Gateway at SAIT for a show being put on by X92.9 was just as grey –at first anyway. Opening the show was Calgary native band, SAVK, who played a very respectable set. Their final track brought a welcomed increase in tempo to the night and they ended their set on a very drum-filled note. They paled in comparison, however, to the other two bands on tap that night. Second on stage was We Are the City, one of the two headlining acts. This three-piece, British Columbian band hit the stage with tons of energy. All three members gave a truly heartfelt performance, and it’s a good thing they did. The crowd must have still been reeling from X-fest hangovers, because they were not easily roused. The track that finally got the crowd going was “Legs Give Out,” off their latest album Violence. With its constant build up and release, the crowd finally started to wake up — and the next few songs finally saw heads bobbing and feet stepping. By the end of their set, We Are the City proved that, even to a tough and unforgiving crowd, they are something special. Royal Canoe was up next to finish the night, and delivered an A+ performance. From start to finish they played fabulous. 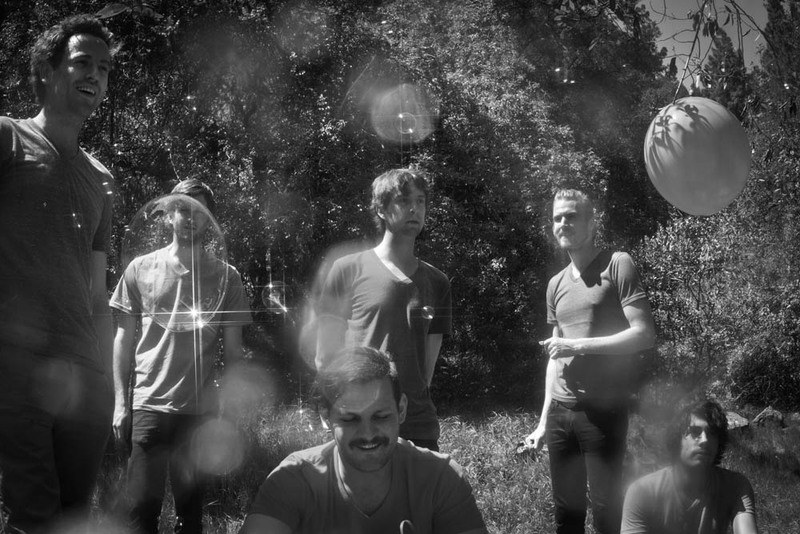 Much more than the neon tape covering their instruments, Royal Canoe brought such refreshing originality to the stage. With six members comprising the group, it makes sense to expect a variety of sounds and complexities within the different tracks. The results were a stage dynamic almost entirely unique. With such a different approach to instrumentation – including side-by-side percussion sets – Royal Canoe made sure it was clear that they knew how to get the crowd going when they played their most known song “Bathtubs.” Following this great song was “Hold on to the Metal,” with its almost-too-quick tempo to keep energy high. They ended the night with “Nightcrawlin,” which busted out the voice distortion to the max. So much in fact, that even Vampire Weekend’s spring released track “Ya Hey” couldn’t compete. The encore was, however, the most shocking and exciting part of the evening. Choosing to cover Andre 3000’s “Roses” was the perfect choice for Royal Canoe, even further demonstrating their merit and versatility. Though it had a slow start, the night’s high intensity and energy far outweighed the funk that gripped the crowd in the beginning — and became the perfect answer to the post-summer blues.